So you're attending one of those super-cool midnight Scott Pilgrim release parties tonight. (And I'm jealous!) You're all up in the excitement around the movie. How do you show your love of Bryan Lee O'Malley's great work to everyone around you? 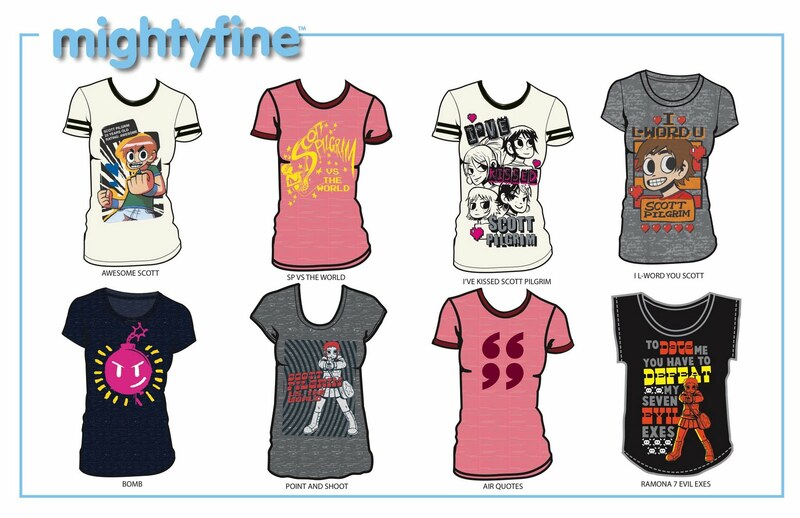 You don your favorite Scott Pilgrim t-shirt, of course! 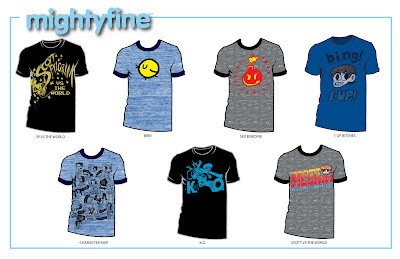 Conveniently, Mighty Fine has some slick-looking Scott Pilgrim t-shirts available! Here's a quick sampling... 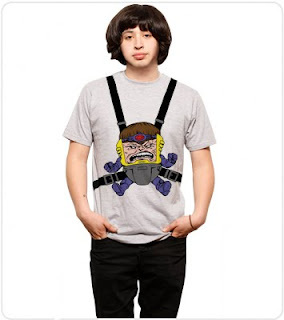 They also have some Hello Kitty wear and the absolutely coolest frickin' MODOK t-shirt ever! So show Mighty Fine some love, and then show Scott Pilgrim some love! Now, if we can only get them to make t-shirts based on that avatar creator!